Taking the Toys from the Big Boys! Retail traders wake up! There is something special going on here! Have you ever thought it would be cool as heck to be able to trade based on news? I don't mean see or hear the news and place a trade with your mouse. No, I mean as the news is published to the world you are able to act on it instantly! ionDESK News Plus enables you to trade based on news automatically, manually or receive an alert when certain news criteria is met. It allows you to actually rate and specify keywords in the news and then act on it. I actually tested this feature and it works great. Oh by the way it is easy to use. I’m not here to sell you, just tell you. See for yourself. Check out the video! If you've been curious about automated trading and how it works, you really need to checkout ionDESK. They have made automated trading easy. These guys are taking a different approach than other trading platforms. You can trade on news events, place protective orders in one click, practice trading live with no risk and much more us traders have been begging for. 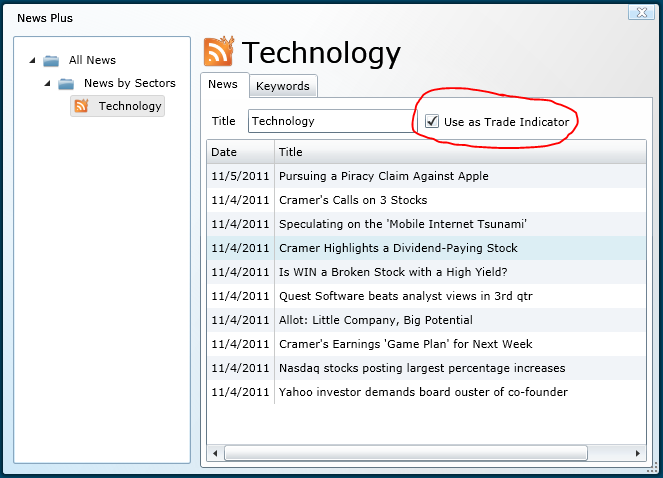 ionDESK currently works with Etrade and TradeKing.